Food tourism is one of the types of tourism that can play an important role in attracting tourists.This kind of tourism is related to the customs and culture of countries.It is attractive to visitors who travel from other countries of the world with different culture and also are ready to experience their culture and customs.Food tourism is currently generating $ 200 billion in revenue. 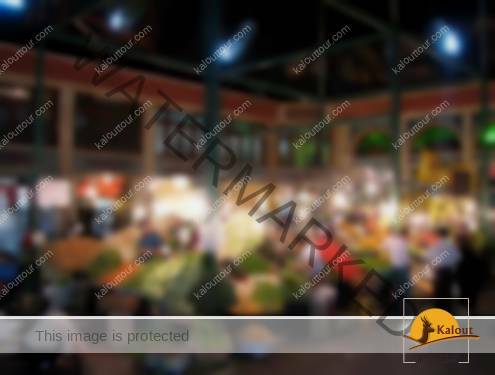 The main market for this tourism is in Europe and North America, and in Germany, England, Belgium, the Netherlands, Luxembourg, Italy, France, Scandinavia and the United States.The countries that compete with each other and are trying to get a good foothold on the market: Spain, France and Italy in Europe and Japan, India, and Thailand in Asia. Food tourism, or as the Iranians say, “searching stomach” is a tourist style, which has been a tourist attraction for many years, and every year number of tourists travel with the aim of experiencing new flavors. Iranian Food Scientists believe there are over 2,500 types of foods and 109 types of beverages and bread and sweets in Iran.Although the Iranian Cooking style is one of the three main schools of food alongside the Roman and Chinese cooking style and the vast geographical area of our country has caused to have a lot of food, but unfortunately, but, Unfortunately, the native foods of Iran are still unknown, and they do not know how Iranian ladies wonder in their kitchens. Our country, with its diverse climates and subcultures, has the potential to become a destination for food tourists.Guilan province is one of the provinces that has been considered for this purpose from many years ago, and the province was introduced as the first destination for food tourism. In fact, no matter your travel destination, You’re sure to have a wonderful, memorable and delicious local cuisine at your destination.Unfortunately, this important feature has not been considered and has not become a tourist attraction in Iran. Iranian cuisine offers a large variety of foodstuff, but not necessarily Iranian restaurants in general. In other words, people make and eat quite a range of different dishes at home. You can try them too particularly if you eat with them inside their homes. 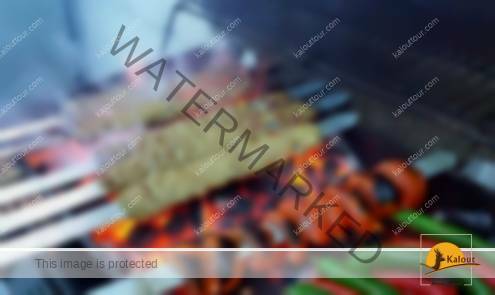 However, when they eat out and go to restaurants, many of them prefer grilled food that are not so easily made in apartments, meaning kebabs. If you’re a vegetarian, then you have to be very patient, because there are not much choices in restaurants for you. Yet, you can always find some food and drinks in Iran for yourself by doing some little shopping and buying some of the world’s best nuts, dried fruits, fresh fruits, etc and have it with you during the trip. In some restaurants, they may go further and offer Caucasian Kebab, Bulgarian Kebab, etc! This is the general menu for food and drinks in Iran. Of course, there are some Western-style restaurants in big cities offering large variety of other dishes as well. Apart from that, some other dishes are usually available like mixed rice with herbs, vegetables, etc that comes with lamb shank, cooked chicken, etc. Sometimes, stews are also on the menu. Make sure you try them as they don’t so often appear there. Most of the people make them at home. They are the traditional dishes that are very much well-liked by most of the people. They are always served with cooked rice. Soups are mostly barley soup, but at times you may find noodle soup, mushroom soup, vegetable soup, etc. 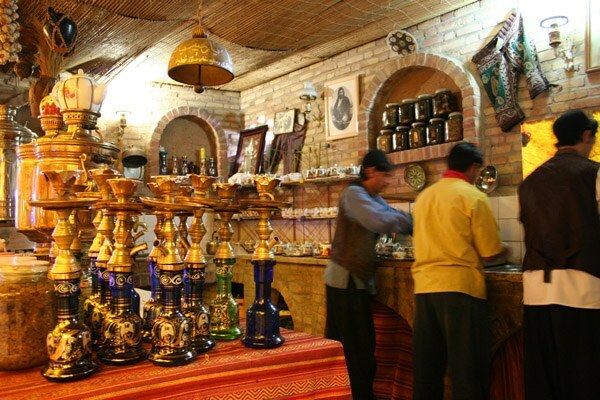 Keep in mind that if you visit various parts of Iran, there could be local food and drinks served in their restaurants you might not find in other cities. So, make sure you go to some local restaurants to find them and try them. This is the case in places like north of Iran, south of Iran and generally the areas that are somehow far from the modern aspects of international food consumption. One important point to remember is popular restaurants where the majority of the customers are local people could be safe places to eat. There are always general tips working in every country. For instance, if you see someone is offering foodstuff at the side of the street where passing cars produce lots of dust, you wouldn’t take the chance to try the local food. Or if the local authorities have announced that it will be safer to keep away from vegetable stuff like salads, etc, just follow the common sense. Soft drinks: There are Iranian brands offered like Zamzam. In addition, you can find Coke, Pepsi, Sprite, etc too. Non-Alcoholic drinks: They are either Iranian-made ones like Delster, Behnoush (flavored with apple, lemon, etc) or foreign-made ones like Bavaria, Hoffenberg, etc with similar flavors. 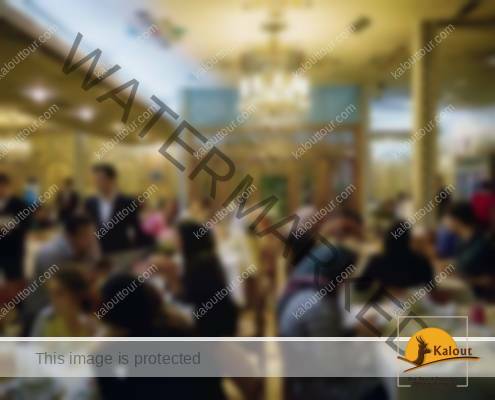 Mineral water: They’re the water from Iranian springs bottled in an industrial process. You can hardly find any carbonated bottled water in Iran. They are not popular here. Yogurt drink (Dough): Certain Iranian factories make this traditional Iranian drink, which is a mixture of yogurt with water, salt, herbs, etc. Sometimes, they are carbonated too. The original version is made by villagers or nomads, which is a by-product of milk made in animal skin without mixing it with water. 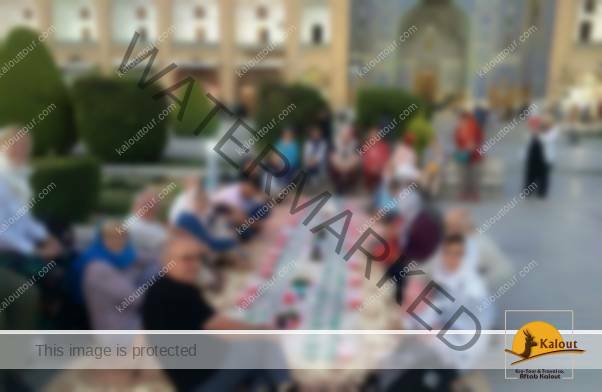 If you’re drinking bottled water during your trip ion Iran, you may not want to drink any of those drinks mixed with ice as most of the time, ice is made from tap water. You will be able to have only the type of meat that are approved by Islam like lamb, beef, chicken, turkey, quail, fish, prawn, shrimp, and lobster in some restaurants. You can never find pork, snake, frog, and other kinds of meat that are prohibited in Islam. Alcoholic drinks like beer, wine, vodka, etc are not served in restaurants, hotels, etc. There’s a strong ban since the 1979 revolution in Iran against the production, possession and distribution of such drinks. It’s not worth trying to find it under any circumstances either. Nobody knows it better than you if certain type of food could bring issues to your stomach or not. Are you susceptible to fat food? Why don’t you keep away from such food anywhere you are in the world? If you already know your intestines are sensitive toward unknown bacteria, why should you insist on testing some new type of salad you’re attracted to? Isn’t it better just to look and learn about it instead of taking the risk and trying it? Keeping away from personal risky eating habits will save your traveling time and that of your fellow travelers. You will not want to keep an entire group of travelers for waiting and worried about you as you’ve ended in a clinic for two days due to a mistake. I must admit that despite all the precautionary steps recommended above, Iranian food is quite healthy and safe. 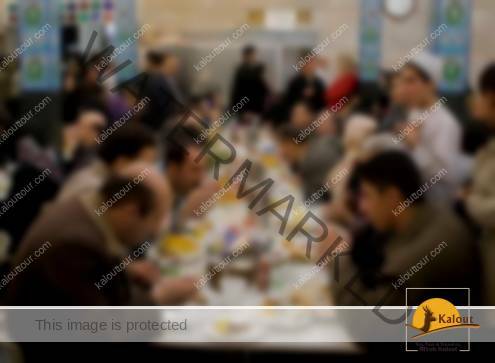 Hygienic measures are closely supervised by related authorities and eating out is very popular among the people in Iran. In rare occasions, you may find some foodstuff dangerous to eat, etc. It’s just the common sense that dictates more caution for eating. Just rest assured there are some very interesting and delicious Iranian food that you don’t want to miss when you visit Iran. Food is part of each nation’s life and culture. You will find a variety of different local dishes in Iran when you travel across the country. As the climate is different in humid areas of the Caspian Sea, as it’s hot and arid in central deserts, as cold winter time up in the Zagros mountains creates extremely cold days and as hot summer days at Persian Gulf makes you feel over-heated, Iranian cuisine isn’t a simple one to define and present. Western style restaurants in big cities like Tehran may offer a wider variety of food whereas you will discover there’s not the same diversity in the type of dishes at other restaurants while traveling in Iran. Of course, what I’m going to explain here is an overview of what you generally find in Iranian restaurants inside the country. What’s out There in the Restaurants? Written or not, Barley Soup is almost always there, but they cook it in different ways. Sometimes, they add tomatoes to it and sometimes they add milk. Tastes are also different depending on various spices they add to it. 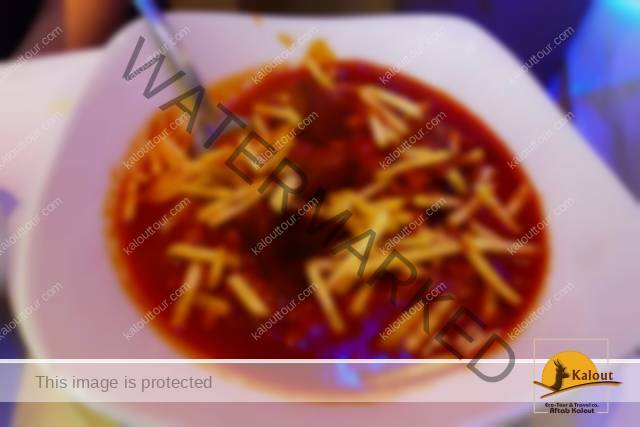 You would love to start your meal with one such dish specially if it’s a bit cold out there. Tomato soup, vermicelli-like soup, etc are also available in some places. 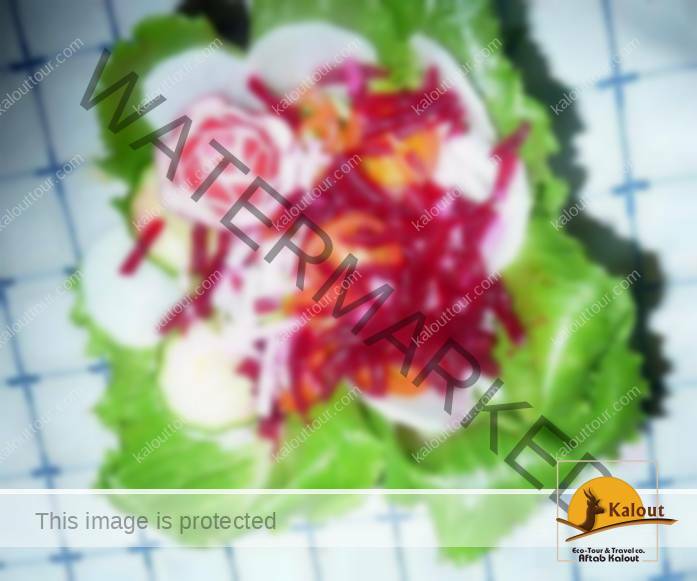 Season Salad or Cabbage Salad is another item in starter section of your Iranian food menus. It’s something they serve with some chef-made dressing, mostly rich in mayonnaise. Factory-made lime juice (tastes like everything but lime juice!) and sometimes olive oil are there with it as well. IF olive oil is available, you won’t expect a very nice-quality one. Yogurt (with or without shallot) is another item at Iranian restaurants’ menus as starter. If they serve some dripped yogurt, I would recommend you not to miss it. As you know yogurt is a very helpful foodstuff to have in a foreign country as it prevent diarrhea. At the first days, as your intestines’ bacteria are different from the local people’s, you would want to order some yogurt rather than salad. Kebab is the BIG thing in Iran, not because I love it (I’m a vegetarian! 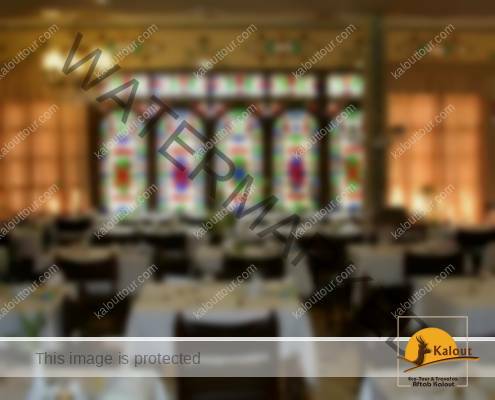 ), but as it is the first word you hear from any restaurant waiters. “What have you got?”, you ask him. 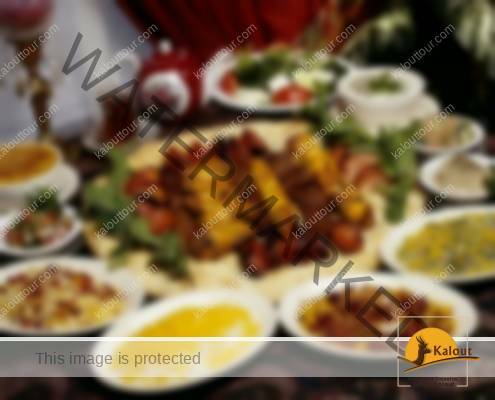 The answer is,”lamb kebab, chiken kebab, beef kebab, shish kebab, mixed kebab, etc”. Sometimes, they go further and offer dishes like Caucasian kebab, Greek kebab, etc. Don’t expect non-Halal types of meat like pork that Islam forbids for Muslims. They’re not available in Iranian restaurants. 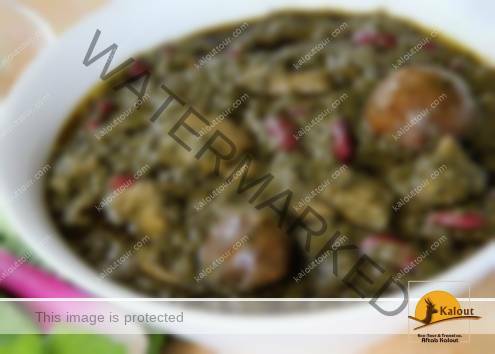 Stew, if available, will be something you must have as they are less often serveed in Iranian restaurants. People usually make them and eat them at home. Instead, when they eat out, they’d rather some grilled food that’s not easy to make at apartments! 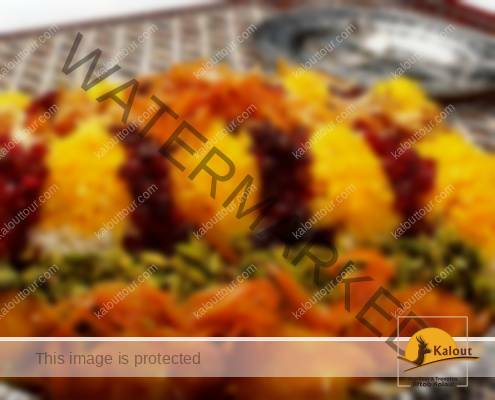 Zereshk Polo: rice with saffron, barberries, and chicken. Baqali Polo: rice with herbs, broad beans and lamb shank or chicken. Fish is another food served with or without rice. The types of fish available in Iranian restaurants in Iran are either from farms like trout fish (found in most of the restaurants) or from the bodies of water at the North (Caspian Sea) or South (Persian Gulf). The sturgeon isn’t something you could find everywhere, but if you happen to see it on the menu of a nice restaurants, go for it! The large fish from the Persian gulf (fried or grilled) has got only a backbone and is delicious if cooked well. Let’s not forget that many of Iranian restaurants don’t even have the first two items, but some other ones (particularly in the hotels) have them. 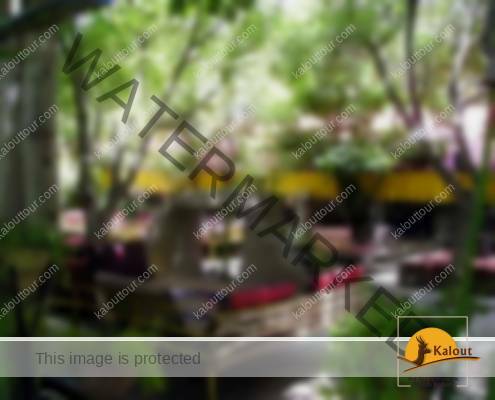 Now, go to some trendy restaurants and find a whole series of different desert dishes. 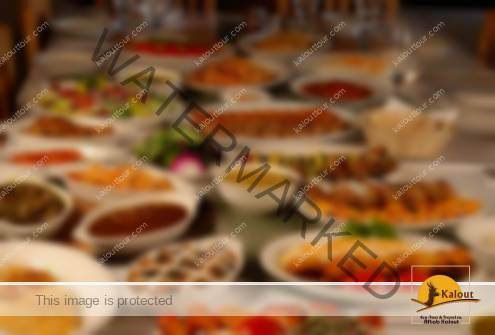 What I’m trying to introduce here is just the general items on the restaurants when you’re traveling in Iran. Local cola drink factories started to produce Iranian drinks in Iran after 1979 revolution. Today Zam Zam is exported to tens of countries. However, they are not the only soft drinks you may try. Yogurt drink, Dough, is a combination of yogurt, water, salt and sometimes some herbs. Some of them are fizzy too. It’s refreshing and something new to some people. You want to try it. 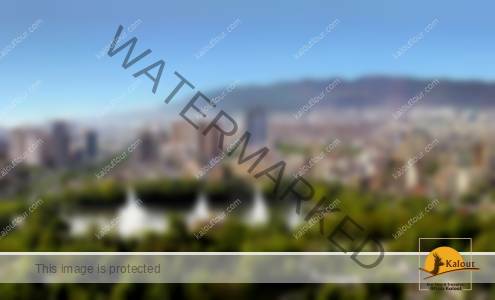 Bottled water is another drink, that you may want to carry with you almost everywhere you go specially during your trip in relatively hot weather. The carbonated version is rarely found in Iran. 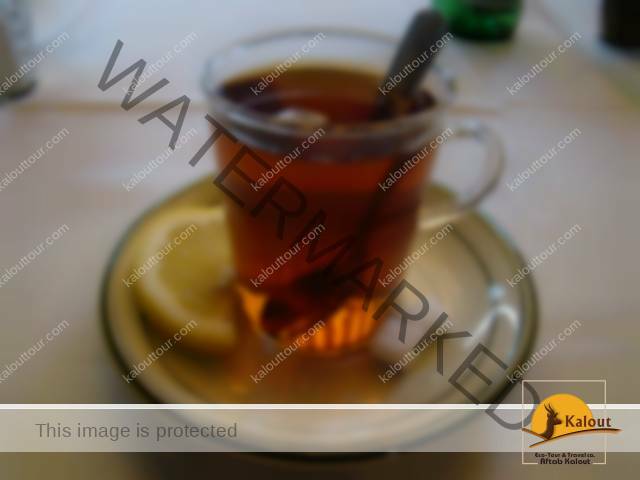 This is THE drink that I recommend you to have instead of the tap water during your visit to Iran. It’s becoming popular in Iran these days as well. 10 years ago, this was not the case. As this is some international concept that you could find almost everywhere in the world, I found nothing special about them to introduce here at this post. However, one point may be interesting to you: the international chains like King Burger, McDonald, etc are not found in Iran. Yet, you may find the same style in Iranian names. 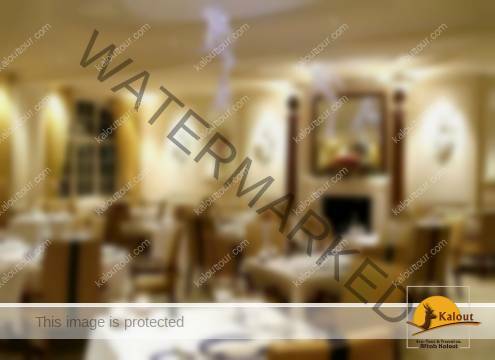 The items at menus of such restaurants are similar to those of the famous brands. Regarding the drinks, I should add that, likewise, Coffee Bean, Starbucks, etc are not present in Iran. The reason isn’t the non-popularity of coffee in Iran as recently young people have started going more and more to coffee shops asking for good coffee – real ones made with machines, not instant ones! 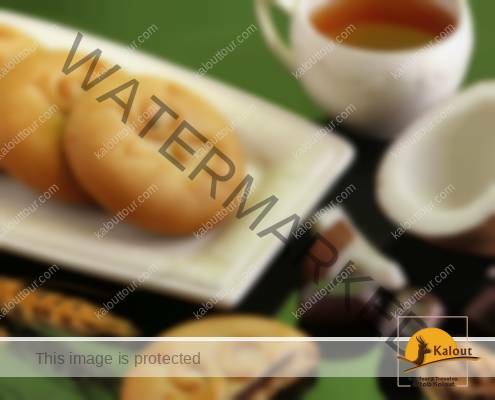 Tea Houses are the traditional shops where only black tea is served. Some people go to these places inside bazaars to smoke some water pipe afterward too. 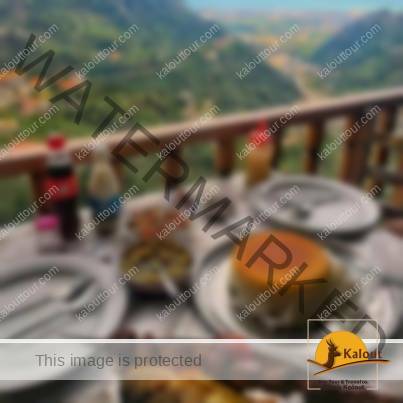 Note: one traditional dish is also served in tea houses called “Dizi” or “Abgusht”. It’s a mixture of lamb, potatoes, beans, peas, spices, etc. To eat this dish, you cannot simply take fork and knife and begin. it requires a whole new post to explain. I may do that some day. Among all Iranian dishes, there are a few ones experiencing no major changes throughout their history. Ghormeh Sabzi is one of them which is a particular favorite of almost every Iranian. Hundred years ago, it was prepared and cooked in almost the same way as today by Nomads. The meat would be provided from their sheep and prepared by animal fats and oils. The herbs would be collected from mountains and plains, and soar grapes or lemon juice would be used for flavoring. 1- Mix the prepared herbs. Fry them over medium heat with 2 tablespoon oil in a nonstick pan for about 10 minutes. 2- Add dried, crushed fenugreek leaves to the pan. Continue heating just for 5 minutes, and then set the pan aside. The amount of fenugreek leaves and the time of heating have to be less than the other herbs, otherwise, it gives a bitter taste to your stew. 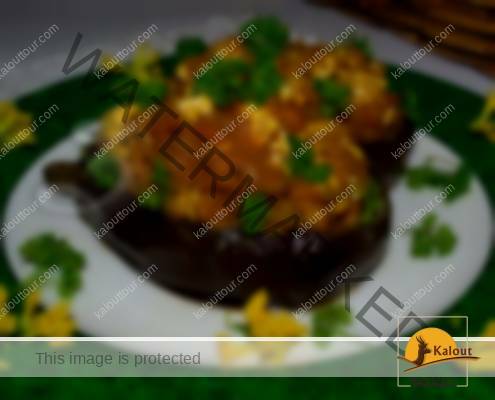 3- In a stewpot, fry finely chopped onion with 2 tablespoon oil over medium heat until golden. 4- Add turmeric powder and fry for a few more minutes. 5- Add the meat and increase heat a little bit. Stir until the meat cubes get brown. Some people use chicken or ostrich meat rather than lamb. You can also use bone-in meat. 6- Add pre-soaked beans, fried herbs, and 3 cups of boiling water. Increase heat for the mixture to start boiling. Then, reduce heat to medium, and let it simmer gently for about 3 hours with the lid on. If you need to add some more water before the end of cooking time, use boiling water. 7- At the last 30 minutes, add salt, hot pepper powder, and dried limes. In Iran, dried lime is called “Limoo Amani”. It’s available in two varieties, black and yellow. Black dried limes are better to be used in Ghormeh Sabzi. Before adding them to the mixture, pierce them with a fork to give its sour flavor to your stew while simmering. You have to add salt and dried limes when meat and beans are tender, otherwise they don’t get cooked properly, and it will take much more time for the stew to get ready. You can substitute dried limes with lemon juice, or use both together if you like it to taste sourer. 8- Get the lid off and check the stew. 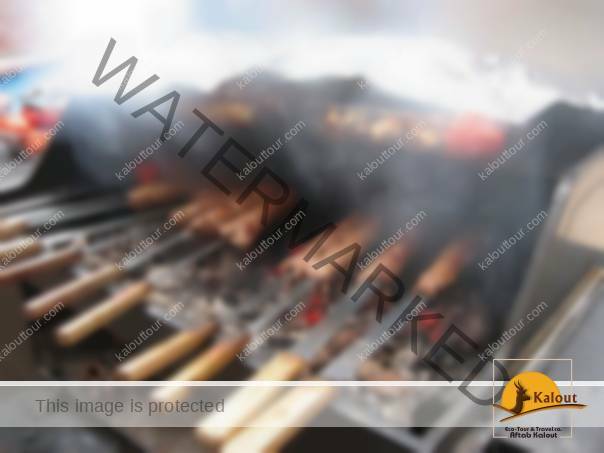 If you can see a thin layer of oil floating on the top, it’s ready to serve. Northern Iran: without fenugreek leaves, and using rose coco beans rather than red kidney beans. Southern Iran: larger amount of cilantro, and sometimes adding tomato paste to the mixture of herbs and meat. Fars province: adding medium diced potato to the mixture at the last hour of cooking process. Azeris: They don’t fry the herbs, use black eyed peas rather than red kidney beans, and add tomato paste to the mixture of herbs and meat. This stew is served with rice, in a big bowl or small ones for each person. Everyone should take a spoonful of the stew, put it on their rice and take a mouthful of both in a spoon with the help of a fork until finishing with their meal. The most common side dishes with Ghormeh Sabzi are Doogh (Iranian yogurt drink) and Shirazi salad (a kind of cucumber and tomato salad flavored with sour grape juice or lemon juice). This Iranian dish is even one of the favorites of visitors who come to Iran from all over the world. If you try it once, you’ll be one of the fans, too. It’s one of the most popular foods in Iranian gastronomy. A reason for the popularity of Khoresht Gheimeh is that, in most religious occasions and ceremonies in Iran, it’s one of the most common dishes cooked and distributed as a votive food. “Khoresht” is the Persian equivalent for “stew”. In some areas of Iran, there are slight differences in the recipe of this Persian food. But they all have the basic ingredients (yellow split peas, dried lime, and French fries) in common. 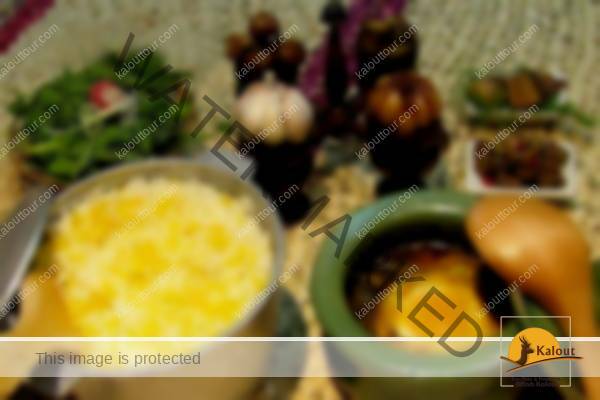 However, the following is the main and most common recipe for Khoresht Gheimeh. 1. Put the crushed saffron in a cup and add one small ice cube. Set it aside and let the ice cube melt slowly. 2. Drain the pre-soaked peas and put them in a pot. Add about 3 cups of water and put the pot over high heat. When the water starts boiling, reduce the heat to medium and let the peas simmer with the lid on to get nearly undercooked. Then, remove the pot from heat, drain the peas, and set them aside. Cover the pot with the lid loosely to keep it from boiling over. 3. In a stewpot, fry finely chopped onions with 2 tablespoons of oil over medium heat until slightly golden. 4. Add turmeric powder and fry for a few more minutes. 5. Add the meat and increase heat a little bit. Stir until the meat cubes get brown. You can substitute lamb or veal with turkey. But it’ll take more time to get ready and cooked. 6. Add the prepared peas and saffron to the meat. Mix them and continue heating. 7. After about 3-4 minutes, add 3 cups of boiling water to the mixture and stir a bit. Increase heat to bring the mixture to a boil. Then reduce heat to medium and let your stew simmer gently with the lid on for about 1 hour and 30 minutes. Stir occasionally. In case you need to add some more water before the end of the cooking time, use boiling water. While the stew is simmering, you have enough time to make the French fries needed for garnishing. 8. Take a frying pan. Put the sliced potatoes into it. Add about 2 tablespoons of oil. Fry them over medium heat until they are golden and crispy. Then, add a little bit salt, stir for a few seconds, and set the pan aside. Instead of homemade French fries, you can use packaged French fries. If you heat the tomato paste with one tablespoon of oil for a few minutes in a frying pan before adding, it’ll give the stew a better color. Before adding dried limes, pierce them with a fork. This way, the sour flavor of the lime penetrates your stew while simmering. You have to add salt and dried limes when the meat and peas are tender. Otherwise, they don’t get cooked properly, and will take much more time to get ready. Also, if the stew simmer for a long time with dried limes in it, its taste will turn bitter. 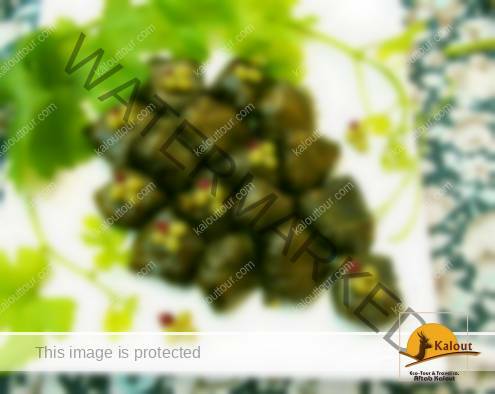 You can substitute dried limes with lemon juice, or use both together if you like your Khoresht Gheimeh to taste sourer. 10. Add the cinnamon powder at the last 15 minutes if you like its flavor. It’ll give a dark color to your food if you add it sooner. 11. After the intended time, get the lid off and check the Persian food you’ve cooked. If you can see a thin layer of oil floating on the top and it’s got the desired consistency (which resembles that of a spaghetti sauce), it’s ready to serve. This stew is served with rice like other Iranian stews. You can serve it in a big bowl for all or in small ones for each person. Use the French fries to garnish the bowls. To eat this savory Persian food, take a spoonful of the stew, put it on your rice, and take a mouthful of both using a spoon. 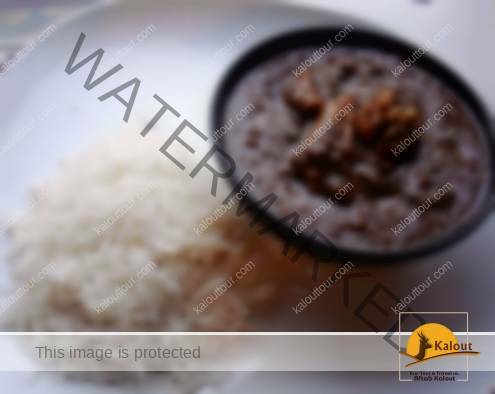 A fork can be used to help taking the mixture of stew and rice in the spoon. Common side dishes to have with your meal can be table vegetables, green salad, yogurt, or various kinds of pickles. And the most favorite drink served with this food is Doogh (Iranian yogurt drink seasoned by dried mint powder or some other local herbs). You’ll be pleased with the taste of this Persian food, especially the one you yourselves have made it. It’s one of the ancient Persian foods dating back to Sassanid era. As part of a tradition, Khoresht Fesenjan was cooked in Nowruz ceremonies to celebrate the end of winter and the beginning of spring. This stew is one of the traditional Persian dishes cooked throughout Iran, but it’s originally from Mazandaran province, central north of the country. In hunting seasons, fall and winter, people in northern parts of Iran sometimes use the meat of hunted birds like duck or goose for this food. At other times, and also most commonly, chicken or turkey is used. People prefer Khoresht Fesenjan more during cold seasons. 1. Fry finely chopped onions with two tablespoons oil over medium heat until slightly golden. 2. Add turmeric powder and stir for just a few more minutes. 3. Add chicken and continue heating until the meat pieces get golden brown on all sides. Then set them aside. You can cut chicken into medium size pieces. If you wish, bone-in chicken can be used instead. If you want substitute chicken with ground veal, there’s no need to fry the onions separately. Mix the veal, onions, turmeric powder, and salt (to your taste) thoroughly. Then, make medium size meat balls, fry them until brown, and set them aside. 4. Toast the flour in a pot over low heat until slightly brown. Remove it from heat and let it cool down. While toasting, stir the flour constantly, otherwise it burns quickly. And don’t make it too brown because it’ll give a bitter taste to your food. 5. Toast the walnuts in a pan for about 2 minutes. Then, let them cool down. 6. Get the toasted walnuts medium or finely chopped in a food processor. You can substitute about ¼ of walnuts with pistachio or almond. 7. Add about 3 cups cold water gradually to the toasted flour and stir simultaneously. In this way, you prevent forming lumps. 8. Add chopped toasted walnuts. Put the pot over high heat and bring it to a boil. Meanwhile, stir the mixture constantly and watch it not to boil over. 9. Add the prepared chicken or meat balls and stir a bit. Then, let the stew simmer gently for about 2 hours over low heat with the lid on. Stir approximately every 30 minutes to prevent the mixture from sticking to the bottom of the pot. Put the lid on loosely to prevent boiling over. You better cook this Persian dish gently over low heat to let the walnuts give off their oil. That’s the only oil needed for this food. 10. At the last 20 minutes, add pomegranate molasses, sugar, and salt (to the taste). Stir for a few minutes and then let it continue simmering. You can substitute sugar with palm or grape syrup. Adding sugar or the amount of it depends on how sour or sweet you prefer your Khoresht Fesenjan to be. So, adjust it to the taste. The amount of pomegranate molasses can also be decreased or increased a little bit if you wish. 11. Take a look at the stew. 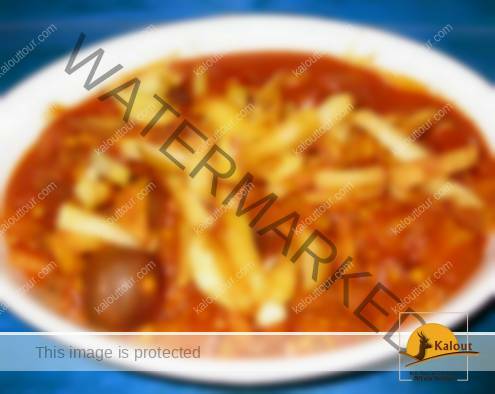 If it’s as thick as a spaghetti sauce, the meat is tender, and you can see a thin layer of oil floating on the top, your food is ready to serve. 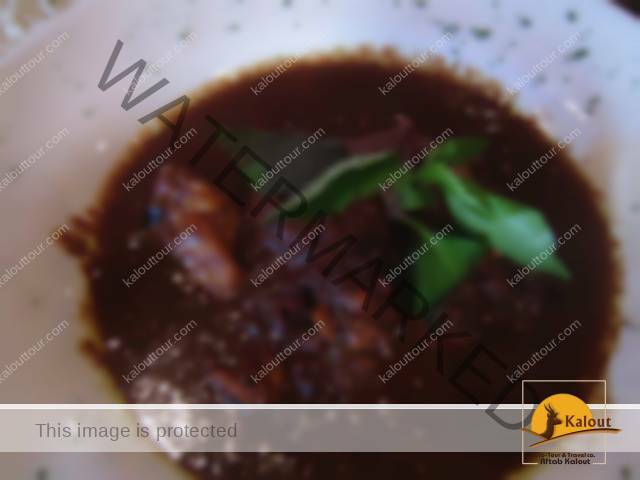 If the meat is tender but the mixture does not have the desired thickness, remove the meat from the stew and then continue heating for a few more minutes. Before serving, you can add the meat again. 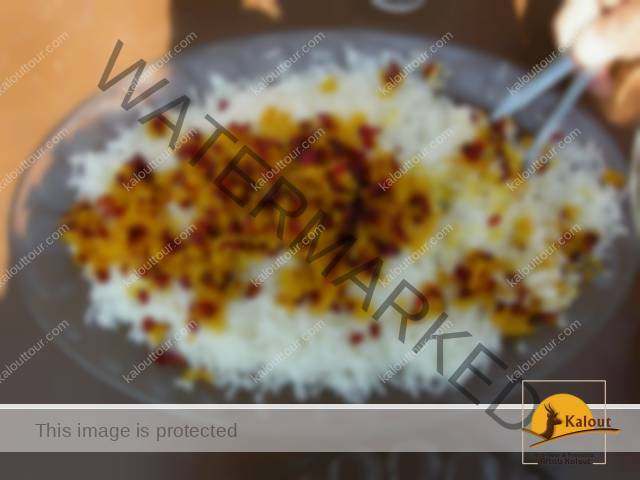 This Persian dish is served with rice. Have the stew in a bowl and, if available, garnish it with pomegranate seeds. Table vegetables and green salad are more common to have beside this Persian dish. And to drink, Doogh (Iranian yogurt drink) can be the best option. This Iranian traditional food has a lot of fans, but more specifically, it can be one of your choices if you have a sweet tooth.